Based in New England, Serving the Nation. The Short Bowel Syndrome Foundation for Children of New England, Inc. (SBSNE, Inc.) is a 501(c)(3) non-profit charitable organization which was created to provide family support for children afflicted with gastrointestinal conditions, birth defects, and diseases which have led to Short Bowel Syndrome (SBS) and their healthcare providers. Purpose: To help provide SBS families with a stipend for nutritional purposes to help ease this financial stressor which comes with the condition. *Registration will be $30.00 after May 1st. We cannot guarentee t-shirt availability after June 1st. *If you cannot attend the walk due to distance, another obligation, etc., please join us virtually! 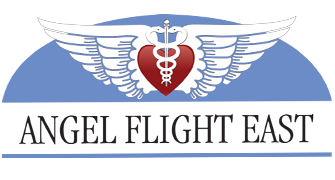 We are proud to annouce our partnership with Angel Flight East (AFE), a 501(C)(3) nonprofit organization dedicated to serving the community by facilitating free air transportation for children and adults with medical conditions who need to get to treatment far from home.